GIVEAWAY DAY 8!!!! To celebrate the launch of our new forums we will be having 100 DAYS OF GIVEAWAYS! In addition, today’s Giveaway comes from an amazing woman and a great supporter of Girls of Fire. 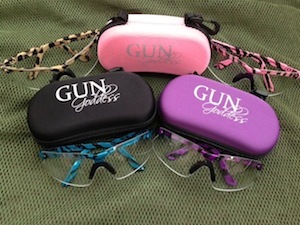 She has been contributing to our giveaways since the very first and today she has generously offered us a Four-lens safety glasses kit in your choice of leopard print or teal, purple or pink zebra! She will also be featured in our giveaway again in a few weeks…she is THAT generous! This is an awesome kit that will fit any condition for shooting that you might encounter. She also offers many other FANTASTIC products on her FaceBook page as well as her website. https://www.facebook.com/GunGoddess?fref=ts Please help me to show her our appreciation by stopping by her page and giving her some Girls of Fire love! 2. 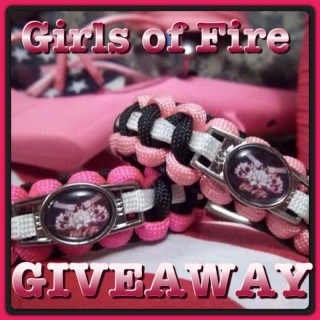 Share the news of our giveaway by posting this link http://girlsoffireusa.forumotion.com/t120-giveaway-day-8#358 in the status on your FaceBook page. Gun Goddess is a great page, thanks for sponsoring!!! Thanks for all the giveaways GoF!!! Good luck everyone. By the way, if I win, I want pink zebra!!! So cute! I want a pair~! I love Gun Goddess! I have a 50 cal rosette necklace I purchased and I get compliments on it all the time. I've referred so many women to your website. Count me in for lucky number 8! Love this page! Recieved my pink holster from Lock, Stock and Daria!! If I win this round, OF COURSE I will need the Pink Zebra!! Now to find a place to hide my holster for when my granddaughters are out!!! I could definitely use these for the range! Thank you so much for the chance! Think I need that leopard print in my life. Woot! Sure was excited to see I won yesterdays giveaway! Here's for another try. Awesome giveaway. Great sponsor. If I win I will definitely rock out in the pink zebra. Thanks for the chance. I was already a big fan of GunGoddess, currently use an Athena appendix holster from there. Awesome page! Cant wait to explore! Love me some purple!